In an interview with Life & Style, Tom 1 and Tom 2 dished on what they thought of James and why he is important to the show. Sandoval said, ”I know James, like everybody, has a really good side to him and he has a really bad side to him too, but he’s extreme in that sense.” Sounds an awful lot like Lala Kent, yet she’s still employed at SUR. Schwartz agreed. He said, “I think he’s talented and Tom hit the nail on the head, he’s his own worst enemy. He creates so many problems for himself with his loose cannon of a mouth.” James is definitely a live wire, but that’s what makes the show so entertaining. RELATED: James Kennedy Responds To Cocaine Allegations; Is Jax Taylor To Blame? He added, “Anyway, we’re OK, we’re fine. I don’t hold a grudge toward him but he just really buries himself on a regular basis.” I wish the rest of the cast would lighten up as well. Lala and Kristen Doute blame all of their personal problems and world hunger onto James. Sandoval admitted, “I always have a soft spot for the underdog and that’s part of it. Also, I think James is great TV, so not having him around, I don’t know, I feel like he is important for the show.” Yes and yes! Could you imagine not having James on VPR? The whole show would be mid thirty-somethings getting drunk, getting married and getting divorced. A far cry from how the show started. James keeps the show fresh and young and I think the old guard is just jealous. 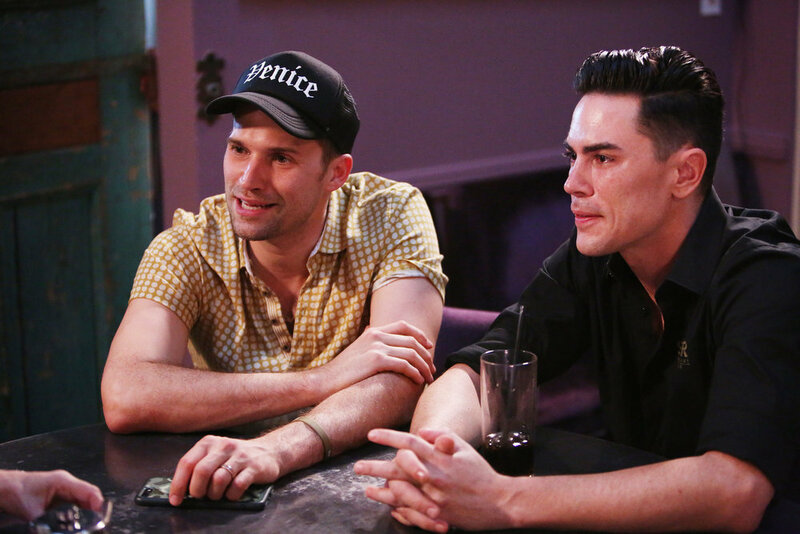 TELL US – DO YOU AGREE WITH TOM SANDOVAL THAT JAMES MAKES GREAT TV? WOULD YOU WATCH VPR IF JAMES WASN’T ON IT? DO YOU THINK THE GROUP SHOULD INCLUDE JAMES?